Nobuhiro Watsuki shares his thoughts on the Kenshin revival and how it inspired him to draw Rurouni Kenshin: Restoration. With a new manga series, anime, and a summer live-action movie, the classic SHONEN JUMP series, Rurouni Kenshin, is making a big-time comeback with multimedia projects that have all of us salivating! As the original creator, Nobuhiro Watsuki shares his thoughts on the Kenshin revival and how it inspired him to draw the new Shonen Jump Alpha series, Rurouni Kenshin: Restoration. Q: How did Rurouni Kenshin: Restoration come about? Nobuhiro Watsuki (NW): With the production of a new anime to celebrate the 15th anniversary of the original anime series and the release of a live-action movie, I thought I’d contribute to that excitement by creating a new manga. I sat in on a production meeting for the live-action movie and had some ideas and stories I came up with for the film, but some of them weren’t used. 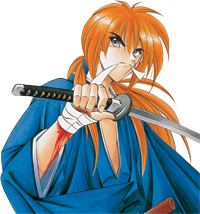 Those ideas that emerged from the planning of the movie were intended to give readers a glimpse into Himura Kenshin’s origin. It made me want to repurpose the ideas by drawing the new manga Rurouni Kenshin: Restoration in a way that will reintroduce it to readers. The other thing was, while it was running in Weekly Shonen Jump, I was in a “charge-ahead” mentality. I didn’t get an overall perspective on my work. Twelve years after the fact, I finally took a bird’s-eye view of it. That’s when I thought about things like “this part could be interpreted like this” or “why did Kenshin feel this way?” I noticed things I never would have during the serialization, and it made me want to include those ideas. Q: Did you make any changes to Kenshin or the other character-design settings in Restoration? NW: I was going to, initially. For example, I could have redesigned the characters or changed the setting, but I didn’t want to play around with them too much, so I stuck to the original style. I did make subtle changes, like Kenshin wearing a scarf or Saito wearing a uniform that was actually worn during the Meiji era. I also changed Jin-e’s appearance, so that’s something you can look forward to. Also, the art is a mix of Kenshin and the middle part of Embalming. The new Rurouni Kenshin live-action movie will come out in Japan on August 25. With highly touted actors and a large production budget in tow, it is expected to be one of the biggest blockbusters in Japan. 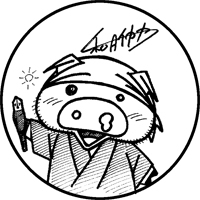 Q: You’re scheduled to have a new Kenshin one-shot story in Weekly Shonen Jump this summer. What’s that going to be like? NW: I first thought about making it a side story that takes place in between some of the original chapters. But after struggling to come up with a story that fans of the original as well as new readers would enjoy, I decided that it should be a supplement to the manga. It begins right before Act 1, before Kenshin arrives at Kamiya Dojo. When I reread Act 1 in preparation for Restoration, I felt I could expand on Kenshin’s motivation to stay at Kamiya Dojo. I’m hoping to write about one of the factors that led to him staying. Q: You’ve watched the live-action movie. What did you think of it? NW: It was right on! 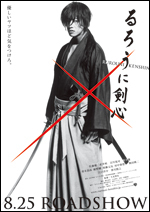 Takeru Satoh played Kenshin’s dual personality well. He truly was Kenshin. Yosuke Eguchi who played Saito Hajime, Koji Kikkawa who played Udo Jin-e, and Munetaka Aoki who played Sagara Sanosuke really took on their characters’ expressions and movements in the action sequences. It drew me in, especially the scene with Saito’s Gatotsu pose. It sent chills down my spine! I thought Emi Takei playing Kamiya Kaoru was really cute and Yu Aoi playing Takani Megumi was also fantastic. It was great to see the roles of Sekihara Tae and Sanjo Tsubame, who work at the restaurant Akabeko, and Chief Uramura thoughtfully cast. 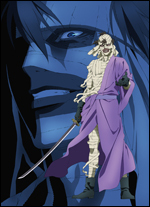 Rurouni Kenshin: New Kyoto Saga, produced by Aniplex, will be theatrically released in Japan on June 23. There will be an original one-shot in Weekly Shonen Jump in August. Q: What did you think about the theme of the live-action movie? Q: Lastly, do you have a message to the fans? NW: I hope you all enjoy Rurouni Kenshin: Restoration together with the live-action movie. 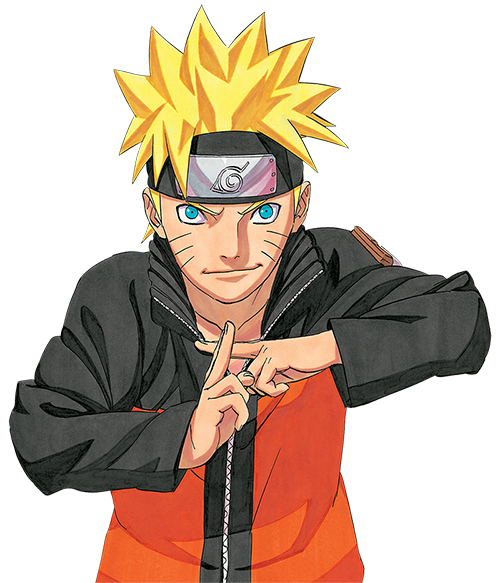 The manga contains ideas and stories that aren’t in the film and vice versa. There are a few other projects coming out in relation to the big Kenshin reboot this summer, so I hope you check them all out. 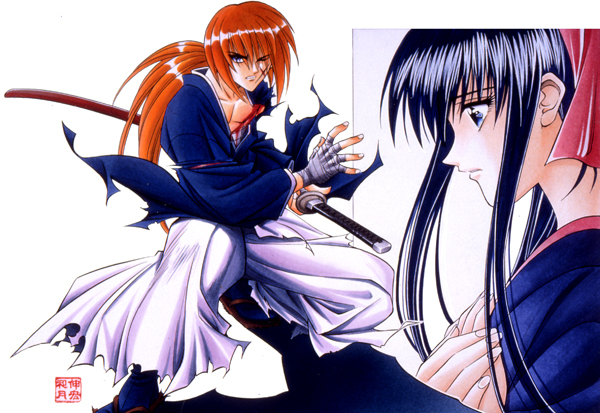 Nobuhiro Watsuki earned international accolades for his first major manga series, Rurouni Kenshin. 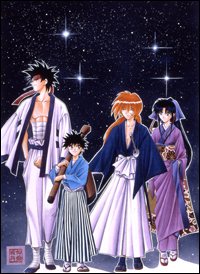 Serialized in Japan’s Weekly Shonen Jump from 1994 to 1999, Rurouni Kenshin inspired an animated TV show and the upcoming live-action movie. Watsuki’s next hits, Buso Renkin and Gun Blaze West, were also serialized in Weekly Shonen Jump. 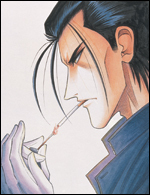 His most recent series, Embalming and Rurouni Kenshin: Restoration are currently seriazlized in Jump SQ. For more great interviews and other members-only exclusives, become an SJ Alpha member today! Weekly Shonen Jump Livestream Event! Rurouni Kenshin 3-in-1s Are Here!